Here are some pictures from the LA FitExpo last weekend. It is always great to get together with a bunch of RKCs and play around with the bells and spread the sickness. 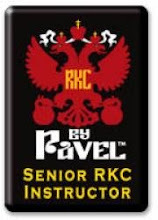 When is your next RKC weekend? I'm heading up to San Jose just to hang out. How about you guys? Just read you are coming up to san jose! woo hoo. thats great man!